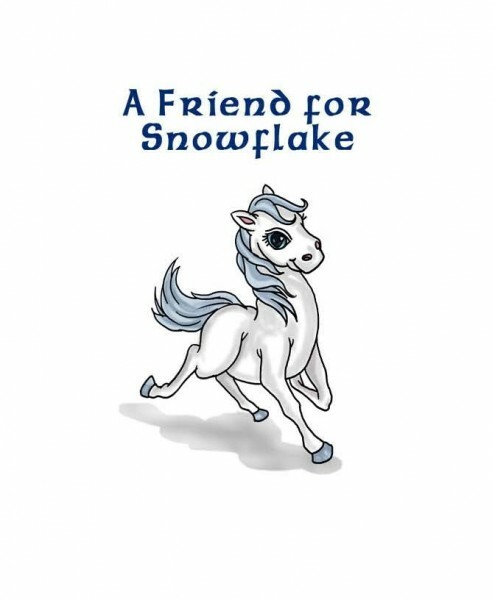 Snowflake is a shy horse and afraid of everyone, but the little girl who gets to star in this story will show Snowflake that she's not scary and become his friend. Then Snowflake gets to go home and live with the little girl and her family. Pamplet-style short book with soft cardstock cover, color pictures, and can also include a picture of the child in the front.